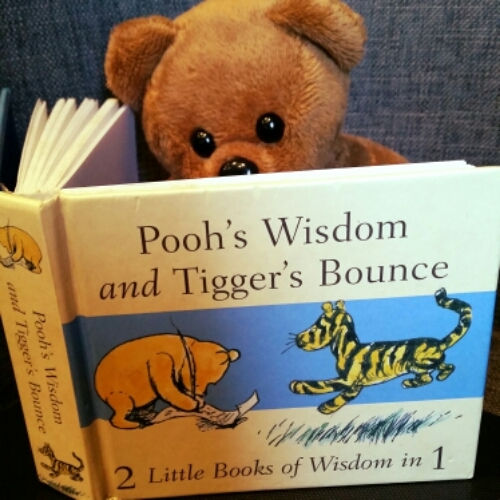 Myles the MS-UK mascot #SmilesWithMyles #MSawareness #MS #multiplesclerosis #winniethepooh #tigger #wisdom #bounce@MSUK6 @myles_msuk – Living life the MegaSpecial way! Myles the MS-UK mascot has found his favourite book for an afternoon read! He thinks this might be where Vix gets her wisdom & bouncing quotes from that she shares!